by Dr Jing Han, Research Associate. 374 Pages, 85619 words, 1245 days: when the final copy of my PhD thesis was printed, bound and lying quietly in front of me, I breathed a deep sigh of relief, and felt a great sense of accomplishment. From the archival research on historical Chinese dye recipes to the chemical analysis of dyes on historical and archaeological textiles, along with art historical, botanical and colour studies, the pieces of jigsaw puzzles were finally gathered together and formed the first complete picture of dyeing techniques in the Ming and Qing Dynasties, China (1368-1911). I explored dyeing history based on both documentary and physical evidence. By examining four important historical dye manuscripts and the chemical analysis of 216 dyed yarn samples from 63 pieces of provenanced historical and archaeological textiles, I found that nine dyes were commonly used (presented in the image below), with certain regulations on dyeing methods to obtain different colours. Literature records and physical evidence were largely consistent in terms of the use of dyes. There were also some inconsistencies, e.g. turmeric was frequently identified in historical textiles but not in the dye recipes and vice versa for Chinese gallnut and smoketree, which possibly result from different dyeing practice in various dyeing workshops or places. 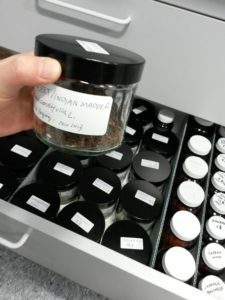 The simple and straightforward task of listing out the Latin names of the historical Chinese dye plants led to a surprising finding that we actually did not know much about this aspect. Consequently, I threw myself into relevant research in botany and Chinese herbal medicine, and integrated my knowledge of the dyeing properties of the dyes. Fruitful results were obtained: the botanical provenance of 12 significant historical Chinese dye plants was achieved for the first time. I also clarified some confusions in the naming of dye plants in ancient times, for example, hong hua 紅花 (safflower) and fan hong hua 番紅花 (saffron). These results not only contributed greatly to dyeing history, but also complemented relevant knowledge in plant history. Knowledge about dyes can promote the understanding of textiles in such areas as dating, provenancing and determining ownership. Take dating as an example: synthetic dyes were invented in Europe from 1856 and were then introduced to China. Based on the identification of synthetic dyes, I improved the dating of 3 pieces of costumes. 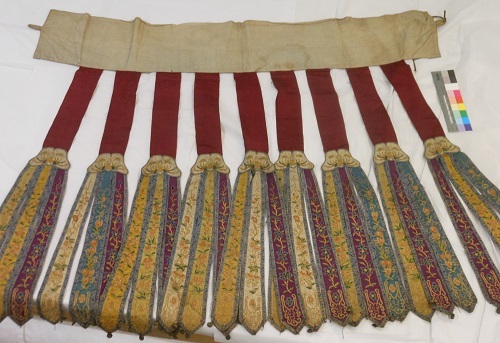 One of them was a dancer’s skirt in the collection of the National Museums Scotland, originally dated as 19th century. Magenta was identified in this skirt – this dye was first synthesised in 1859 and began to be in commercial use in the same year – indicating that this skirt must be produced no earlier than 1859. As the historical and archaeological textiles I studied are hundreds of years old, dyes on these textiles have more or less aged over time. 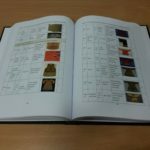 Knowledge of this aspect is useful for replicating the original colour of faded textiles and providing suggestions for storage and exhibition. Accelerated light ageing study of reference dyed samples was carried out in a light-ageing chamber, where samples were exposed to intense light and faded in weeks. 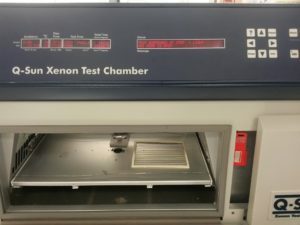 Their changes in chemical composition were tracked by chromatographic analysis. 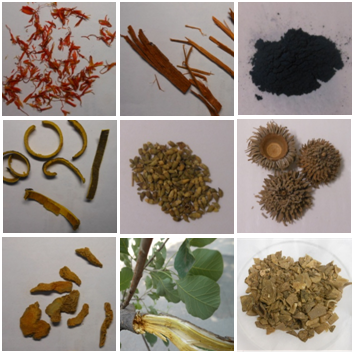 Results showed that among the common dyes used, safflower and turmeric are very light-sensitive and light exposure on textiles with these dyes needs to be limited strictly so that the colours do not fade quickly. The degradation products of some dyes were also found in several pieces of textiles, suggesting special care of these textiles as well. Overall, this research built up a framework of dyeing of the Ming and Qing Dynasties. This not only contributed significantly to Chinese dyeing history and textile history, but also greatly complemented existing knowledge of world dyeing history. 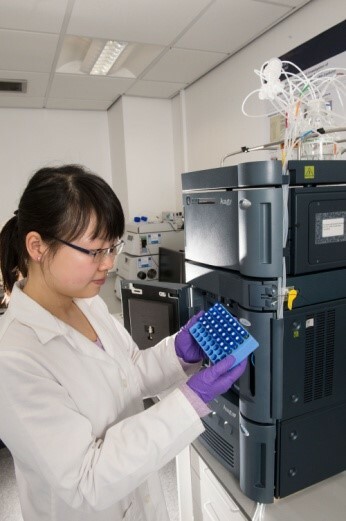 Research results started to show their great value: the common dyes and dyeing methods were identified, and the database of the chemical profiles of 22 reference Chinese dyes established were referenced by fellow researchers in China and helped identify the dye sources of historical and archaeological Chinese textiles effectively. Through this research I have gradually established my expertise on Chinese dyes and started to be able to carry out research independently. This is such a milestone in my career. My heartfelt thanks to all that supported this doctoral research. Great research Jin – and congratulations on your PhD! Good Afternoon Thank you for sharing your work. I am currently undertaking a BA in Textiles and have particular interest in natural dyes. I found this fascinating ! 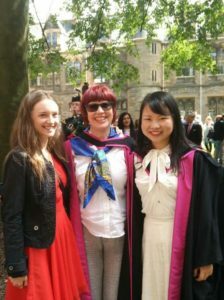 It is quite delightful seeing you graduating after such a chequered research adventure with Anita. Once again, congratulations and best wishes for your practising future. Wow. What an intensive but fabulously absorbing study. A great contribution which I am sure will be of great interest to natural dyers around the world. You should think about publishing it in an accessible format. I am sure it would attract a lot of customers. Thank you. Dear Pamela, Thanks for your interest! I would recommend you a book ‘Natural Dyes: Sources, Tradition, Technology and Science’ by Dr Dominique Cardon, which is very informative. If there’s anything about natural dyes and dyeing I could help just let me know. Dear Joanne, Thanks a lot for your encouragement. The research results have been mainly presented as academic papers and conference presentations at the moment, but I would definitely consider publishing them to a wider audience! The textile artworks you designed look fantastic! If there’s anything about natural dyes and dyeing that I could help with please do not hesitate to contact me.